Hand-made for a client's six bedroom, bed & breakfast family hotel in Washington, DC, USA, from kiln dried English/European oak. 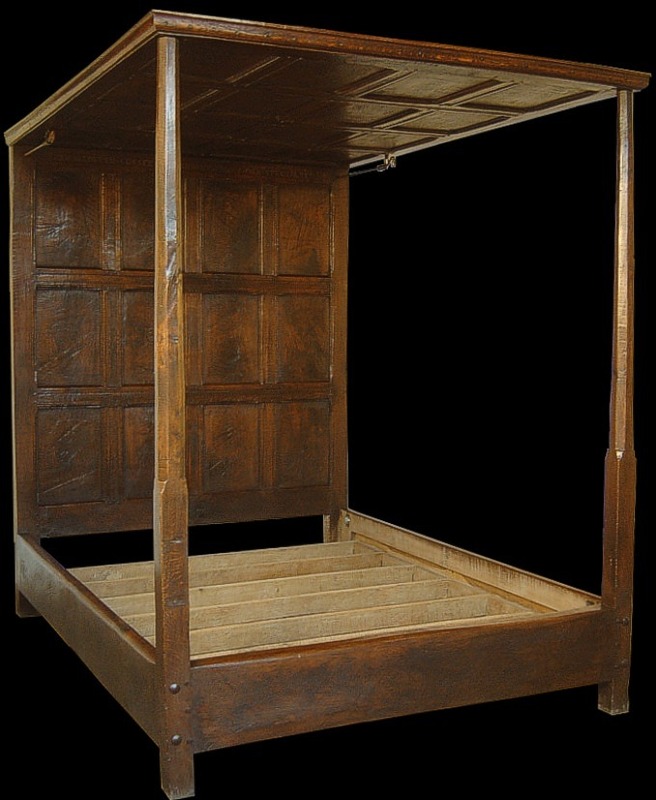 The bed is based on a 17th century original. The oak slats for supporting the mattress-set can be easily removed to allow the mattress to sit directly on the floor, enabling easier use for disabled guests. Much of the bed's design has been based around this facility. Please see our links page to obtain details of what is a beautifully appointed hotel in the historic Dupont Centre (complete with it's own art gallery). The bed is in the Shakespeare Suite, so if your lucky enough to stay there, you can actually sleep in it!